Former Methodist Church President Rev. 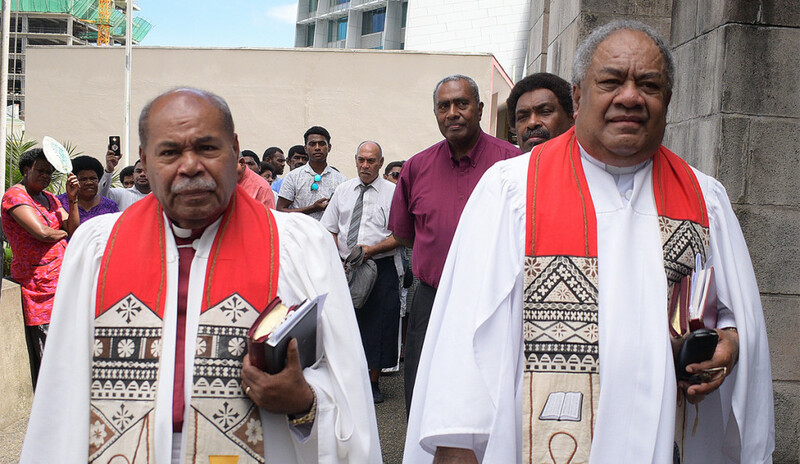 Dr. Tevita Banivanua (left) with President Dr. Epineri Vakadewavosa during Methodist Church of Fiji Deputy General Secretary Rev. Seremaia Waqainabete funeral service at Centenary Church on March 29, 2019. Photo: Ronald Kumar. The thrtee daughter’s of late Methodist Church of Fiji Deputy General Secretary Rev. 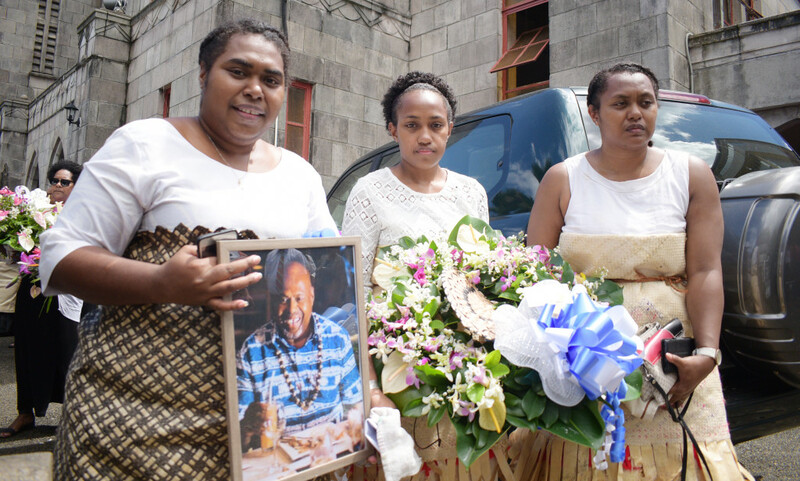 Seremaia Waqainabete (from left) Peupola Waqainabete, Tanya Waqainabete and Alisi Waqainabete during the funeral service at Centenary Church on March 29, 2019. Photo: Ronald Kumar. 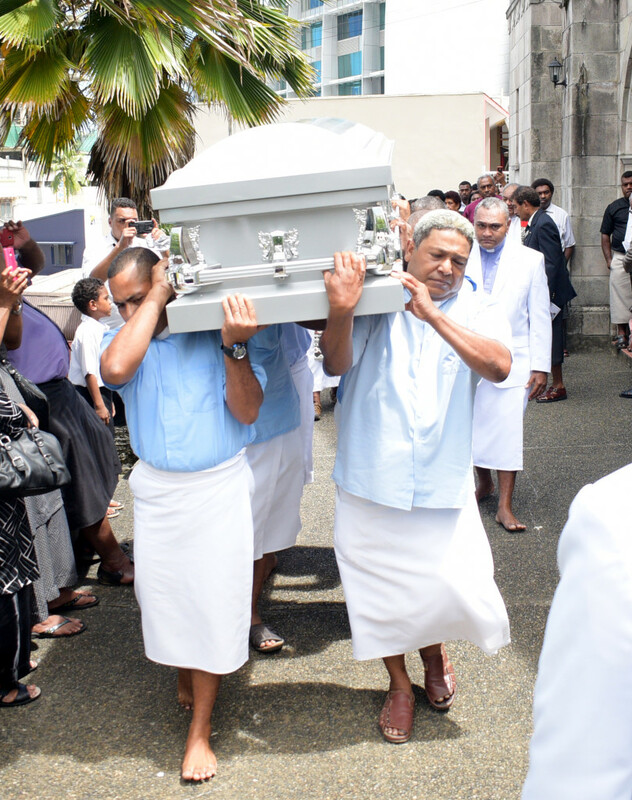 Pallbearers carry the casket of Methodist Church of Fiji Deputy General Secretary Rev. Seremaia Waqainabete during the funeral service at Centenary Church on March 29, 2019. Photo: Ronald Kumar. 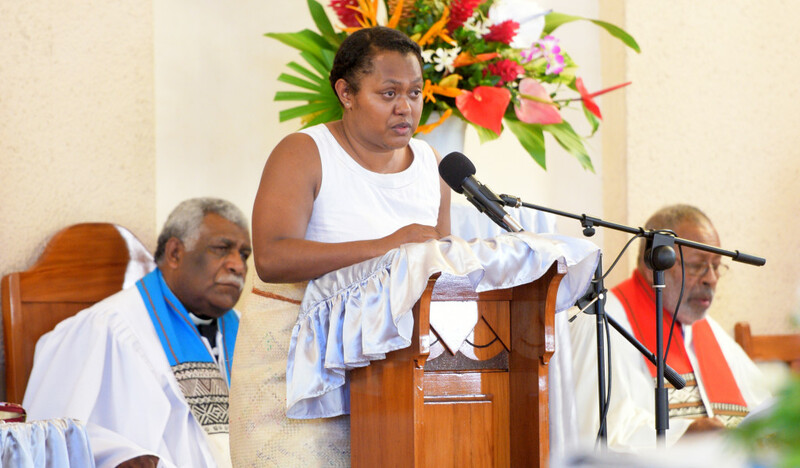 Alisi Waqainabete while speaking her her father and Methodist Church of Fiji Deputy General Secretary Rev. Seremaia Waqainabete at Centenary Church on March 29, 2019. Photo: Ronald Kumar.